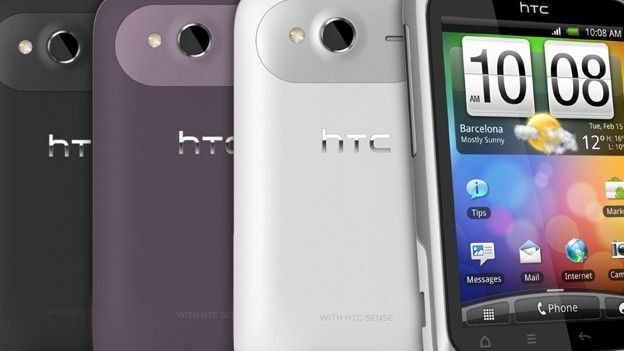 The HTC Wildfire S is the Taiwanese tech titan's latest budget Android smartphone. Revealed in Barcelona at this year's Mobile World Congress, it's the successor to the best-selling original HTC Wildfire smartphone but adds some sleek features that should ensure sales success. But is it the best budget blower going? And how does it stand up under closer inspection? HTC's Android range is rightly lauded for its breezy functionality. The Wildfire S is no different, utilising the brilliant HTC Sense skin in conjunction with Google's OS in order to create an intuitive experience unmatched on any other budget mobile. The excellent Friend Stream aggregates social networking updates and takes mere minutes to set up, while the seven homescreens can be viewed at once with a simple two finger pinching gesture. The only let down is that HTC won't be updating the version of Sense here to its recently revealed 3.0 edition. That said, the 2.1 version here remains top notch and is far better than anything found on comparably priced budget smartphones. Add in single Google sign-in on set up and this phone is one of the easiest-to-use blowers out there. Despite its cheap credentials, the Wildfire S comes with the latest Android iteration, Gingerbread 2.3.3. This means its ahead of certain pricier rivals at launch and that it's loaded up with some stellar next-gen skills. The excellent Wi-Fi hotspot function lets you share the phone's 3G connection and can be turned on simply by diving into the main menu. The keyboard is more intuitive than on older versions, with better copy and paste, although in truth typing is hardly different from the original Wildfire. The haptic feedback can be a touch annoying when you're firing off missives too, but can be turned off by diving into the sounds menu in settings. The 5 megapixel camera here is especially smart, thanks to the inclusion of a single LED flash and some neat filters and settings. For a so-called budget phone, there are some serious drill down features, with white balance tweaks, ISO that can be pumped up to 800 and a plethora of sharing options to Facebook, Picasa and Twitter. You can also pimp it up with the latest Android apps. The results are brilliant, with detailed, clean shots when used in good light. Snaps taken in dark corners down the pub are a touch grainy and noisy when you do give the ISO a push, but that's to be expected. For tweeters and mobile bloggers, it's everything you could possibly want from a camera phone. The resolution of the screen is a somewhat disappointing 320x480. That is much better than the 240x320 of the original Wildfire, but still makes for occasionally blocky video playback and pixellated pics when compared to the very best smartphones on the market. That said, it's the key reason that this phone costs so little and doesn't compromise the user experience. If you want a phone for playing back clips though, this isn't it. In terms of its touch smarts, it's assured, accurate and up there with the very best proddable panels. We squeezed just shy of two days from the Wildfire S, constantly checking emails, hammering live football updates and scouring emails, not to mention snagging apps and making calls. That's not too bad in these days of resource intense smartphones. There's no other way of putting it. This is the best budget Android smartphone out there. In fact, we'd go as far as to say it's the best budget smartie. The screen is a touch low res, the version of HTC Sense old, but these compromises keep costs low. Want to save money but need a do-it-all mobile? The Wildfire S is it.